One of South America’s most diverse and fascinating countries, Bolivia pulsates with wild adventure, breathtaking scenic beauty, exotic biodiversity and a culture of celebration. The Bolivian Salt flats of Salar de Uyuni have been described as the closest thing to visiting another planet. A temporary luxury structure built on the flats looks like a collection of futuristic white pods containing everything you would need for a lavish trip, with the added feature of having unbeatable panoramic views of one of the world’s most unusual natural beauties. 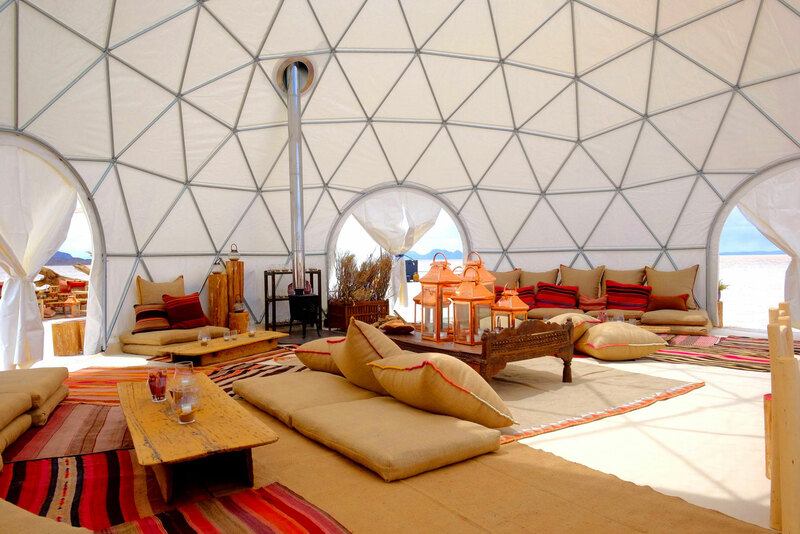 Explore the rugged side of life from the comfort of your aesthetically designed dome tent, while gaping at the vastness of the Atacama Desert. 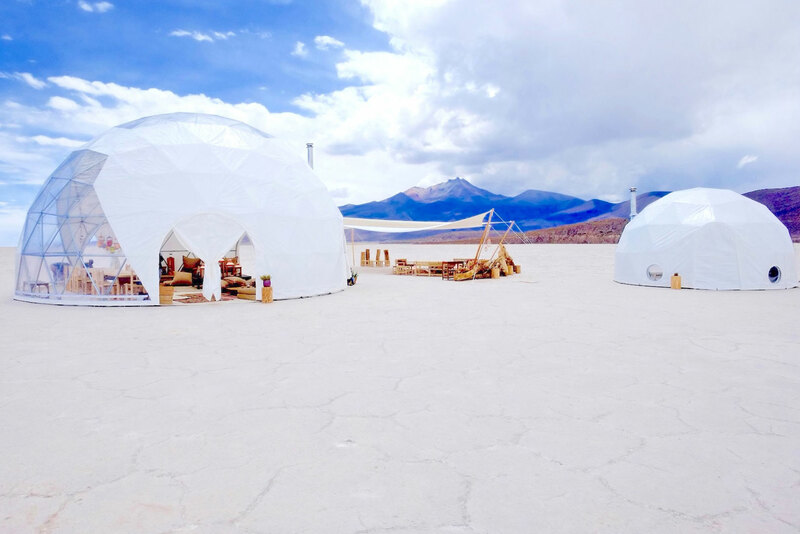 Allow yourself to be blown away by the surreal star gazing experience that only the Salar de Uyuni can offer! It is tailor-made travel to the extreme and you will have quite literally never experienced anything like it.